Our story follows a disgraced master Assassin Altair who embarks on an epic quest to restore his status within the Assassin Order. 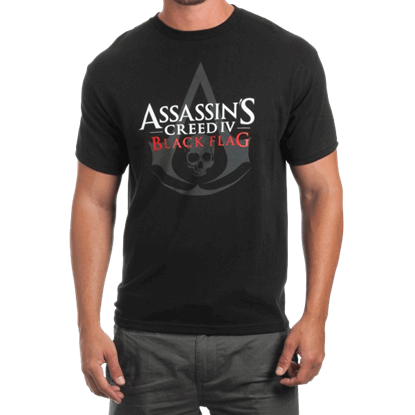 After failing to assassinate the Templar Leader Robert De Sable and recover the legendary Templar Treasure, Altair is demoted to Uninitiated, the lowest rank in the Assassin order. 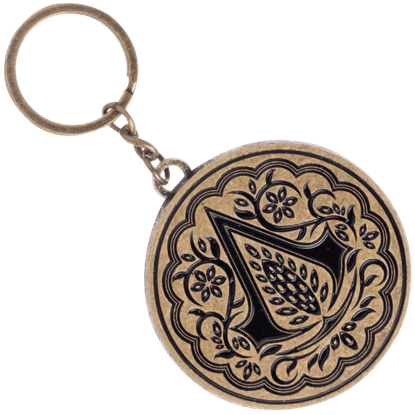 Sinan, Leader of the Assassins, offers our hero an opportunity to redeem himself. 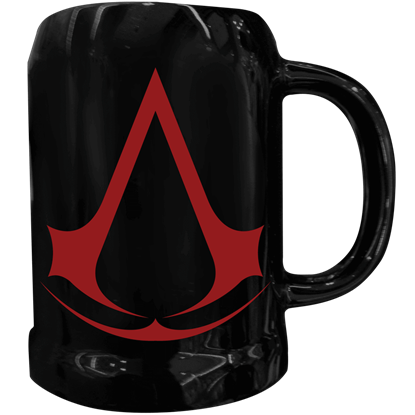 Altair must venture out into the Holy Land and assassinate men said to be exacerbating and exploiting the hostilities created by the Third Crusade. In doing so, he will stabilize the region, allowing Sinan to usher in an age of peace. When the game begins, Richard the Lionheart has just recaptured the port city of Acre from occupying Saracens. With a base of operations established, the Crusaders prepare to march south. Their true target is Jerusalem, which they intend to recapture in the name of the Church. However, Saladin, leader of the Saracen Army, currently rules Jerusalem. Stinging from his armys defeat at Acre, he will now allow Richard to humiliate him again. The Saracens are massing at the ruins of Fortress Arsuf, intending to ambush the Crusaders and prevent them from reaching Jerusalem. These war maneuvers have left the rest of the Holy Land wide open. While Richard and Saladin battle one another, the men left to govern in their stead have begun taking advantage of their newfound positions of power. Exploiting, manipulation, and provocation rule the day. It is into this chaotic mess our hero now finds himself thrust. He is ordered to assassinate those most active in their exploitation. And so Altair begins his missions. Along the way, however, he will begin to discover that his targets are bound by more than just a shared interest in personal gain. 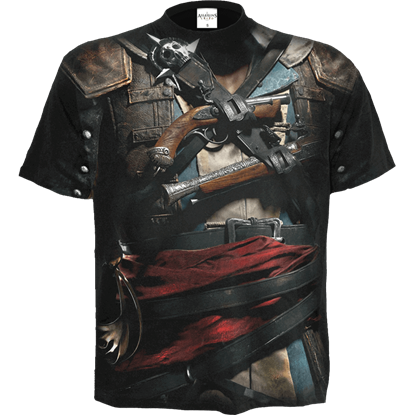 They seem to share membership in a secret society, a group all too familiar to the Assassins. And they are not simply looking for profit. The true goal, and how they plan to achieve it are secrets to be discovered during the course of our story. 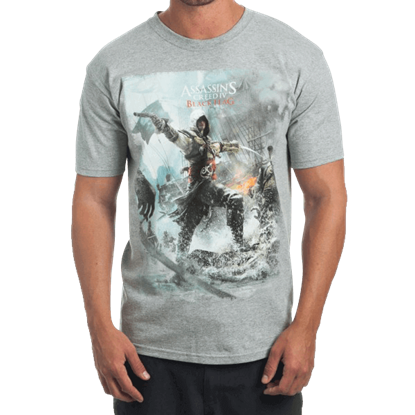 Shop here for our selection of clothing, weapons, and more from the popular game Assassins Creed. 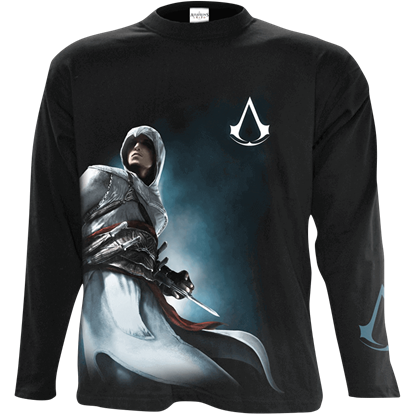 Assassins Creed clothing is authentically reproduced from the video game and are all fully functional items. We carry Altairs complete outfit from head to toe. 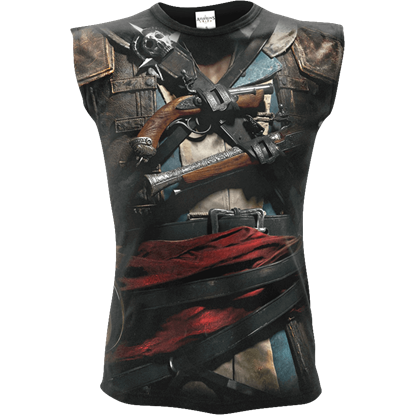 We have Altairs leather belt, leather boots, tunic with hood, sash belt, gloves and under tunic. 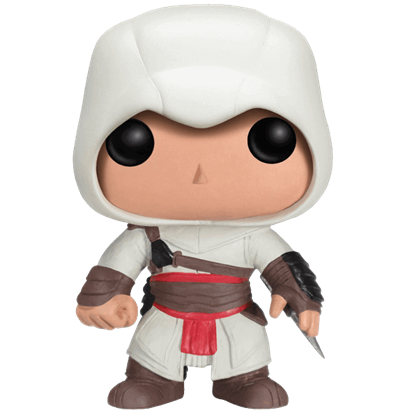 We carry his fully functional extension knife, fighting knife, throwing knives and the sword of Altair. 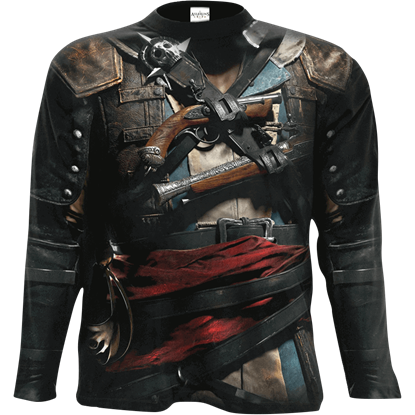 We have other characters clothing from the video game like the William of Montferrat tunic, Robert de Sable tunic, Crusader priest robe and the Lionheart tunic that are all licensed by the game manufacturer. 15th century Assassin Aguilar de Nerha fights against the villainous plots of the Templars in the 2016 Assassins Creed Film. 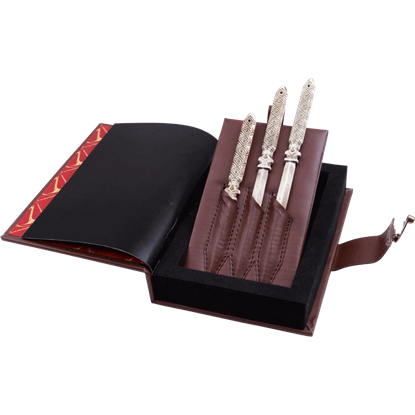 The Aguilar Throwing Knife Set includes replicas of his knives inside a faux leather journal storage box. 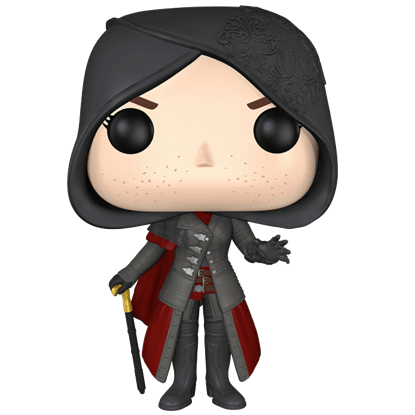 What began in 2007 with the release of Assassin's Creed has become more. 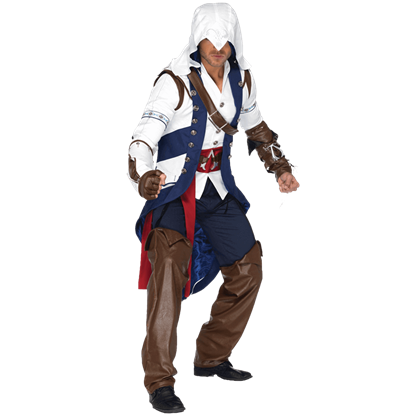 The story has grown, and in Assassin's Creed III, players were introduced to a new assassin, who they can become by wearing this Assassin's Creed III Connor Costume.